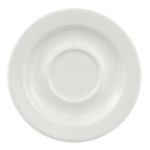 The Homer Laughlin 6556000 Pristine saucer will not easily chip or scratch thanks to the durable china construction. 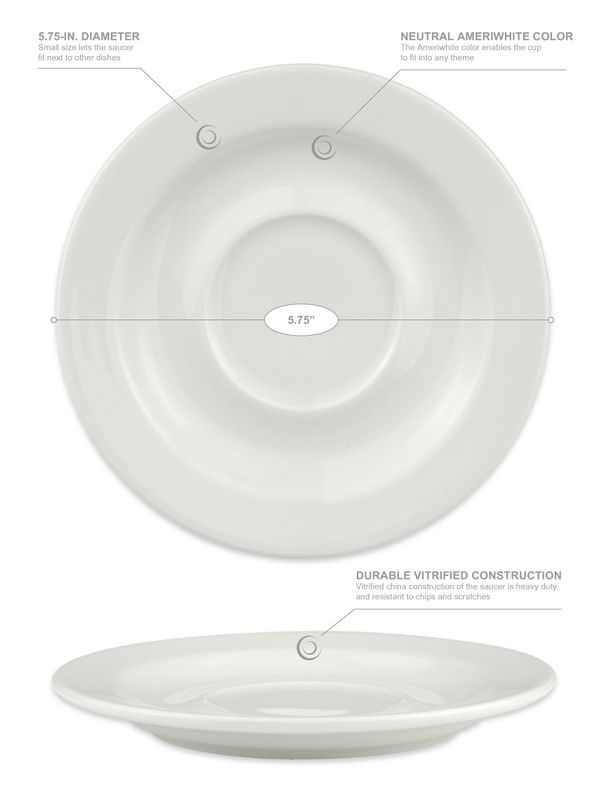 The saucer will not take up too much space on tabletops since it has a 53⁄4 inch diameter. With its Ameriwhite color, the dish easily fits into any theme while creating a classic look. If you pair the Homer Laughlin 6556000 Pristine saucer with the 6546000 Pristine tea cup or the 6536000 Pristine stackable tea cup, you will have a complete set for serving coffee and tea.